We Need the Help of Each and Every One of You! Vote Here Now! REMINDER: Polls close next week, on September 27th, 2013. Thank you all for your support in the Operation Rainfall initiative to convince Sega and Konami to bring specific games from Japan to the US (and in the best case scenario, to other markets as well). We wanted to provide you with an update regarding the Operation Rainfall and LAI collaboration. We reached out to both SEGA and Konami, presenting the numbers from Operation Rainfall’s fan poll and letting them know of our interest in providing localization discounts for games targeted in this poll. We did our very best, however neither company has expressed interest in moving forward with localization at this time, but we will be sure to report back if we have any updates! In the meantime, be sure to stay involved on Operation Rainfall’s website. They keep fans informed of the latest game localization news and are always looking for new ways to bring non-localized titles abroad. Operation Rainfall has been a fantastic partner and a source of inspiration, as their projects and initiatives are truly a labor of love. Your support means so much to them as they continue on in their quest to help bring you games that otherwise wouldn’t reach international markets. UPDATE 09/30/2013: The polls are now closed. Thanks to all of those that voted! We’ll let everybody know if there are any future updates regarding the localization of these games. UPDATE 07/17/2013: Wow, the results so far have been great! It is good to see so many passionate fans doing their part for game localization. We’d like to clarify to our voters that the point of the polls is to show SEGA and Konami that there is a genuine interest in seeing these games localized and that people will buy them. Even though there will ultimately be a “winner,” there are no losers, as all polling information about all games will be sent to SEGA and Konami. Ultimately, the games that get the most votes will take first priority, but it is still possible that the other games in the polls will be pitched, as well. Thanks to those that have participated so far! As we announced on June 5th, 2013, we have entered a partnership with Language Automation, Inc., (LAI), a company that specializes in game localization. LAI will be offering companies a discount on their localization fee if the companies choose to localize the games the oprainfall community votes on and promotes. There may even be ways that certain individuals within the community could be elected to help with the localization process! It is fair to note that even if a game wins a poll or has many votes, there is no guarantee that it will be localized. The poll’s purpose is to allow LAI to go to the publishers with some extra ammunition to help convince them to localize the game. If you ever wanted to see any of these games localized in the West, this could be the game’s best chance! So if you see a favorite game on the list, be sure to vote for it and send it to everyone you know to vote for it, as well. Today, we bring you the first of hopefully many articles based on this partnership. As you will see below, we have two polls—one for SEGA games, and one for Konami games. These companies were chosen because LAI has worked on localization projects with them in the past. In case you are not familiar with any of the games listed, we have also provided descriptions so you’ll know what they’re about. Be sure to use the comments section to let us know why you voted for the game or games you would like to see localized! For more information about Language Automation, Inc., and what they do, check out their official website at www.lai.com. Please vote below by simply scrolling down the page until you find both polls. You may vote for ONE game per company. Originally released in Japan in 2012, Genso Suikoden: Tsumugareshi Hyakunen no Toki, or “The Woven Web of a Century,” is a side story of the main Suikoden series that takes place outside of the regular series canon. The story follows three friends who are mysteriously sent a century back in time and must raise an army to defeat a monster that tries to destroy the world every 100 years. In typical Suikoden fashion, players will be able to recruit over 100 characters from three different time periods to aid them in their quest. The game features a turn-based battle system, where players will place a team of up to six characters on a 3 x 3 grid. Each character has a base job from a pool of eight and may choose a sub-job to supplement their skills, as well. Characters of the same class can also learn skills from heroes of the past when they battle together. Party members can carry out team attacks, with bonuses determined based on their relationships with one another. Beyond the Labyrinth is a mysterious tale in which players team up with an enigmatic girl to explore a strange, danger-filled labyrinth. The battle system is interesting and intriguing, sort of like a mash-up of rock-paper-scissors (which the attacks are named after in Japanese) and jacks. When striking an enemy’s weakness (say, scissors beating paper), the amount of damage done is released into the air and can then be picked up by an enemy or an ally to regain health points. A localization of Beyond the Labyrinth would give gamers the opportunity to experience tri-Ace’s first 3DS game. 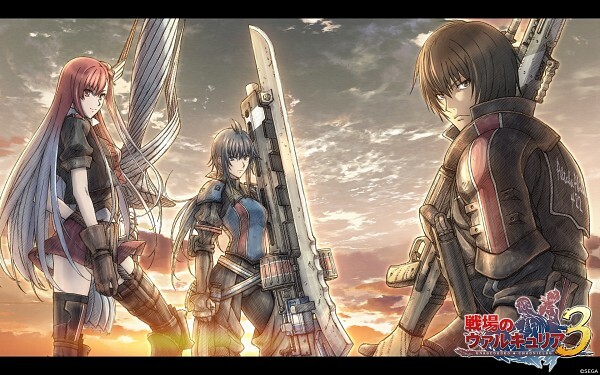 Valkyria Chronicles III takes place in the same time frame as the first game in the series. A side story to the events of the original, it focuses on a group of outcast Gallian soldiers known only as The Nameless. This small group does not officially exist in any military records, as they are assigned the missions that, if traced back to Gallia, would have terrible international consequences. The gameplay retains many elements of the BLiTZ System from the first two games, with one especially notable addition to the battle mechanics. Each character now possesses a unique ability—by building up Special Points while engaged in battle, these special skills can be unleashed if certain conditions are met. Plus, for the first time in the series, players will need to make choices that will affect the ending of the game. 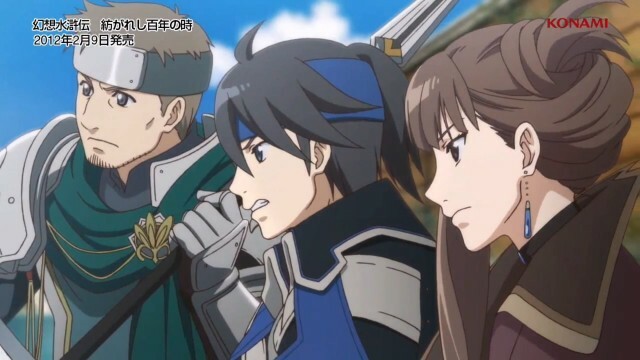 A localization of Valkyria Chronicles III would give gamers the opportunity to experience a missing chapter in the history of the Gallian Army. The darker tone of the story adds another twist while retaining the core gameplay elements that have given the series such a fervent following. Yakuza 5 takes place two years after Yakuza 4, and once again, you play as Kazuma Kiryu, who now works as a taxi driver in Fukuoka. Taiga Saejima, Shun Akiyama and Haruka Sawamura return, and a new character is introduced: a former baseball player who was given a lifetime ban for gambling. 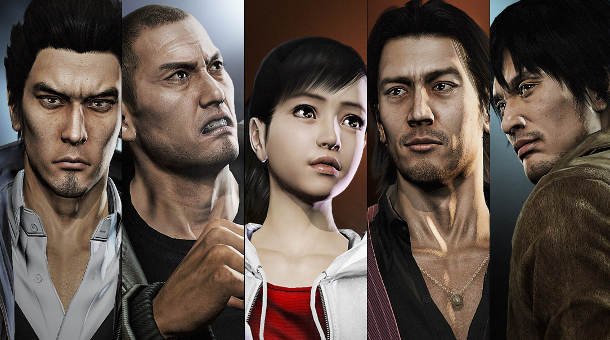 Two of Yakuza‘s greatest strengths are its characters’ individual stories and the interconnected narratives of each game. The Tojo Clan is once again in the midst of trouble after the Ueno Seiwa Clan incident in the previous game. Daigo Dojima decided to reconstruct the entire Tojo Clan and form a truce between it and the Omi Alliance. However, two years later, the truce began to crack, and war between the two clans was imminent. The Tojo Clan began to align themselves with older clans to rival the strength and size of the Omi Alliance. With this in mind, Dojima heads to Fukuoka, and this is where the epic tale begins. Random battles let you duke it out in an old-fashioned beat-’em-up with some light RPG elements. There will also be things to do outside battles, like Haruka’s rhythm game. So while the story itself is serious, outside of it, the series can be rather silly and very quirky, especially when “revelations” come into play. There are also mini-games galore—bowling, batting cages, pachinko, golf, arcades, gambling, and so much more. In mid-2012, SEGA announced that both Yakuza and Yakuza 2 would be re-released as Yakuza 1 & 2 HD Edition for the PS3. This year, in the May 17 Nintendo Direct for Japan, SEGA announced that the HD edition will also be heading to the Wii U. In the first Yakuza, series main character Kazuma Kiryu must recover ¥10,000,000,000 stolen from his former gang, the Tojo Clan. Kazuma must also search for his missing friend Yumi Sawamura and deal with his former best friend Akira Nishikiyama, who has become a cold, ruthless and heartless individual with his own faction within the Tojo Clan. Yakuza 2 takes place a year after the events of the first game. When rival gang Omi Alliance (which backed Akira in the first game) murders the Tojo Clan’s chairman, Kazuma must find a peaceful resolution before all-out war erupts between the two gangs. One of the main draws of the game is the street brawls that can occur, with random battles throughout the city and some light RPG elements that let you level up and gain skills and abilities. With tons, and I mean tons, of things to do, including sub-stories and lots of mini-games, Yakuza and Yakuza 2 give you a lot to enjoy. 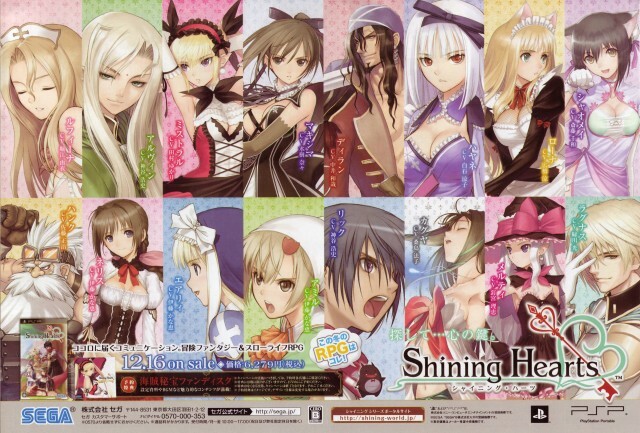 Shining Hearts was the first of the Shining series games to make its way to the Sony PSP. 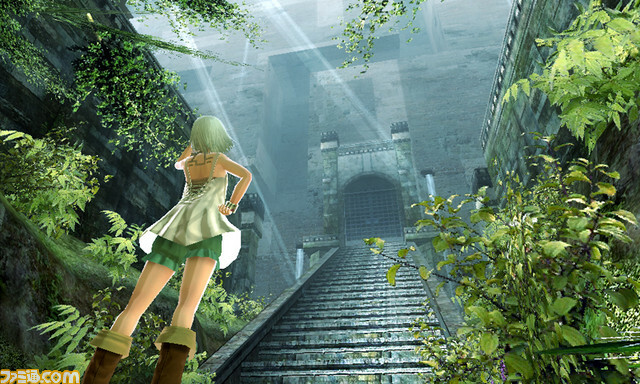 Gameplay takes place in a ¾ overhead view, where the player can explore various areas, both on land and sea. While exploring, there are random encounters where the gameplay shifts to a more traditional turn-based system. Four controllable characters occupy a front or back row, performing various melee and magic attacks. The game’s story revolves around Kaguya, who washes up on an island and has lost all her memories and emotions. She meets Rick, a local swordsman and baker who decided to help her regain her memories and emotions and protect their island from a new influx of pirates. The game also introduces the MOE (Mind Over Emotion) system, which allows the player to collect hearts to help one of the characters regain their memories. They also change how other characters view them, the setting and the world. In battle, hearts can be used to perform combination techniques with the characters in your party. Other games in the Shining series that could be localized include Shining Blade and Shining Ark. Edit: We’ve added which platform each game is on. Thanks go out to multibottler0cket for pointing that out. We appreciate it.